Tesla Archives - Metro Plug-In your EV Charging Solution! 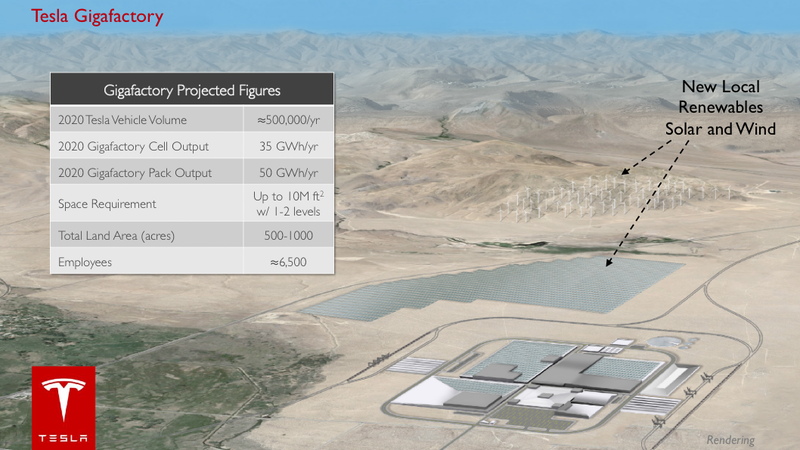 CNBC is reporting Tesla has chosen Nevada as the site of its Gigafactory. The Gigafactory is a critical piece of CEO Elon Musk’s plan to make a mass-market Tesla car, and lower the cost of carbon-neutral power. Musk has said he intends to double the world’s supply of lithium-ion batteries by 2020 and thus drive the price of the power packs downward. He’s also said he plans to build multiple Gigafactories in the future. Tesla had already broken ground on a prospective site outside Reno earlier this summer that only bore the name “Project Tiger.” The Tahoe Reno Industrial Center currently boasts e-commerce facilities owned by Apple, Amazon, Barnes & Noble, and Zulily. Tesla’s facility, which is expected to employ 6,500 workers is estimated to cost up to $5 billion. CNBC says specific terms of the deal with the state are still being worked out, and that it could be a week before they’re announced. The 2015 Tesla Model X electric crossover is already attracting enthusiasm from, among others, the analysts at Morgan Stanley. Apparently, the Model X won’t just match the premium-crossover competition, it will “devour” it. The Model X won’t launch until mid-2015–and no one outside Tesla has yet driven it–but Morgan Stanley is confident the plug-in crossover will be more successful than the Model S sedan, according to The Los Angeles Times. The financial firm’s enthusiasm is based in part on the current success of the Model S.
Analysts reason that because Tesla had more resources available to develop the Model X, it should be even better than the Model S, which has received praise from both consumers and the media alike. However, that assumes the Model X will cost just 5 to 10 percent more than the Model S–which starts at $69,900–and include more standard equipment. Thus far, Tesla hasn’t discussed Model X pricing at all. Morgan Stanley also assumes that the Model X will have fewer bugs than the Model S.
This is a topic addressed in quarterly financial calls by CEO Elon Musk, who has said–in effect–that the company learned a lot from the Model S launch and that the Model X production will be able to grow more quickly due to the extra time the company has spent before launch. Model S issues like overheating charge cords and unreliable drive units, both addressed by Tesla Motors after they came to light, haven’t notably dampened enthusiasm for the electric car. Tesla’s ability to meet its own deadline makes for a third caveat. Morgan Stanley moderated its enthusiasm a bit by noting that the Model X has already been delayed, and registering surprise that more-extensive testing hasn’t started. An undisguised Model X prototype was spotted testing in California back in January, while a Model S with a weight on its roof and sensors on all four wheels surfaced in March. The firm qualified its analysis with the disclaimer that it has a financial interest in Tesla, owns some Tesla stock, and has received payment from Tesla for various services–as it has from many other carmakers. First, the 30% cut in battery pack costs that Tesla is projecting is not the company’s ultimate goal, but rather the minimum that it expects to achieve in the first year of Model 3 production. According to the Fool, partner Panasonic agrees that a 30% reduction by 2017 is a conservative prediction. Second, Tesla expects to be building battery packs for under $100 per kilowatt-hour in less than 10 years. That figure has acquired the status of a magic number – a recent ORNL study and an article in Scientific American each cited it as the point at which EV’s will be able to compete with ICE’s on price. Musk stood by his forecast, saying that it seemed “pretty obvious.” CTO JB Straubel added that this timeline assumes that Tesla is sticking with its current battery chemistry, and doesn’t take into account any potential innovations. “To realize those cost targets, we don’t need some fundamental breakthrough in chemistry and material science. Those things are pretty well understood in front of us,” said Straubel. Of course, optimistic predictions are a lot cheaper than $100/kWh, and it’s still possible that the Gig will cost much more, and/or take much longer to build, than expected. The Motley Fool, however, is reassured by the fact that Panasonic, which it says is “arguably more knowledgeable and experienced regarding lithium-ion production than any company in the world,” has committed to invest between $1.2 billion and $1.6 billion in the venture. Tesla Motors Inc., the electric-car maker once written off by industry experts, is making its mark on the car market, attracting increasing attention from analysts and investors–and appears to be in for the long haul. During an investors call on second-quarter results, company chief executive Elon Musk mentioned an auto-industry research company that predicted Tesla would turn out a maximum of 3,000 cars and was essentially doomed to fail. 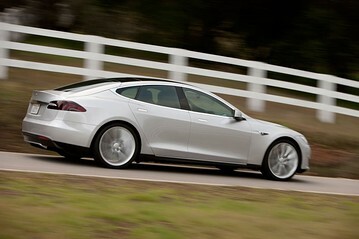 However, the company has delivered more than 13,000 of its Model S sedans to customers in North America so far. For consumers, even those who cannot afford the $63,570 sticker price of the Model S, Tesla’s success means electric cars could reach the mainstream sooner than many people expected. It may happen faster if Tesla gets a little more competition. During today’s call, Musk said he is glad BMW is getting into the electric-car market, but that there is “room for improvement” in the BMW i3. There are several factors pointing to quicker-than-expected acceptance of electric cars in general and Teslas in particular. Among the most striking was the top score of 99 points of a possible 100 that the magazine Consumer Reports gave the Model S following a long-term road test. Unlike glossy car-enthusiast magazines, Consumer Reports is known for unemotional, no-nonsense evaluations of vehicles that focus on practicality and ease of use as well as performance. 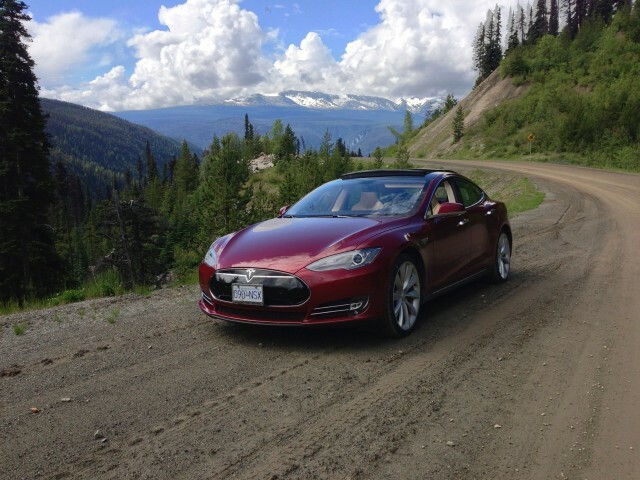 Reviewers said they didn’t alter their scoring because the Tesla is battery powered. They also said the basic car’s range of just over 200 miles represents a sweet spot where so-called “range anxiety” fades. Tesla’s appeal is likely to force other car makers with electric models, including BMW, Chevrolet, Honda and Nissan, to increase their vehicles’ battery range and continue lowering their prices to make them more attractive to real-world car shoppers. And having more Nissan Leafs and Chevy Volts on the road is likely to help Tesla. Chevrolet’s recent $5,000 price cut on its Volt plug-in hybrid could indicate a lack of enthusiasm for electric cars. But it could also be seen as a sign that such vehicles have finally arrived in the consumer mainstream. While the Model S’s unique looks, technology and performance will continue to attract early adopters and well-to-do technophiles, what draws most new-car buyers is seeing the latest model in a neighbor’s garage or in a local parking lot. Tesla’s main goal is to get “more electric cars on the road,” Musk said, so they will seem like transportation instead of novelties. If rivals step up and raise the level of competition, Musk may get his wish. Tesla Motors continues to buck the odds, celebrating a major victory in the North Carolina Senate this week. The North Carolina Automobile Dealers — concerned about competition — set its sights on the green car company last month when it endorsed a bill that would’ve significantly curtailed Tesla’s ability to sell vehicles in the state. The legislation, supported by the Senate’s Commerce Committee, targeted direct-to-consumer sales which eliminate the need for dealerships. But Elon Musk and friends proved that it wouldn’t be quite so easy to squeeze them out of NCAD’s territory — Tesla took both North Carolina Governor Pat McCrory and House Speaker Thom Tillis on test drives to show off the car’s capabilities. Musk’s strategy seems to have paid off, as the North Carolina House of Representatives struck down the bill on Tuesday. With another victory under its belt, Tesla’s upward momentum shows few signs of slowing down anytime soon. 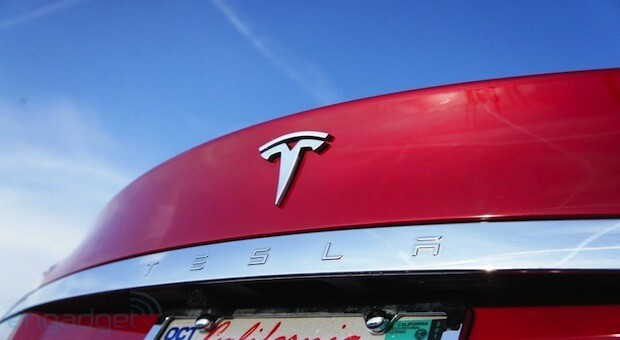 The Tesla Model X is scheduled for production in late 2013. The much-hyped Tesla Model X was revealed last night at Tesla’s Los Angeles design center. The all-electric crossover utility vehicle will be built on the same platform as the automaker’s Model S sedan. Few new details emerged from the unveiling, but now EV fans have a glimpse of the Model X design. The Model X reportedly zips from 0 to 60 miles per hour in approximately 4.4 seconds—and is projected to carry a price tag roughly in the same neighborhood as the automaker’s Model S sedan. That means the base-level price is somewhere in the range of $55,000 to $75,000. According to Elon Musk, Tesla chief executive officer, the Tesla Model X will top out at a price that’s close to $100,000, and will be offered in an all-wheel-drive version. The unique features of the Model X include its falcon doors, and its ability to transport seven individuals in relative comfort. The Model X offers two trunks, with one underneath the bonnet and the other located under the vehicle’s rear hatch. 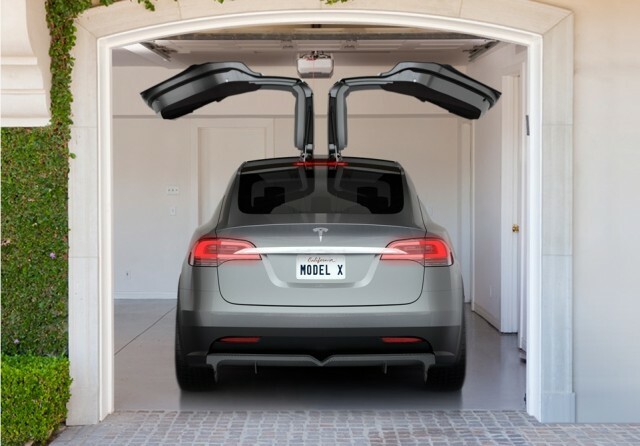 The “falcon” doors allows the Model X to park in the tightest of spaces. Like the Model S, Tesla’s electric crossover will be fitted with a selection of battery packs, either with 60 kWh or 85 kWh of energy storage. Range is expected at between 210 to 270 miles, depending on battery size—lower than the Tesla Model S due to the crossover’s additional weight. 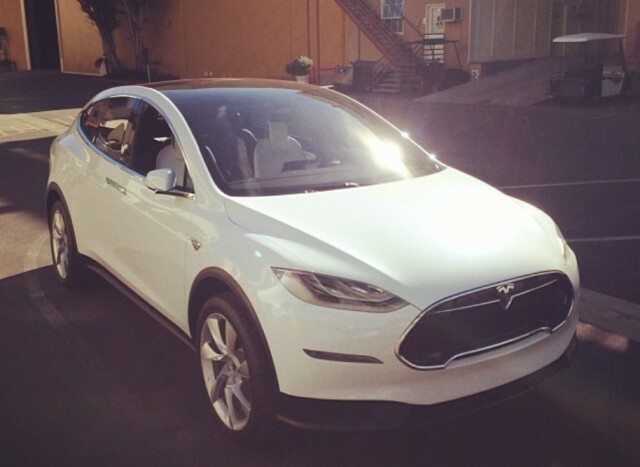 The interior of the Model X will closely resemble the Model S.
The Model X will enter the production cycle in late 2013 with full production set for 2014. Tesla starts taking online reservations for Model X today.